American rangers pass the control tent of rear service officers, where they receive hot coffee and donuts before loading onto landing ships. Port of Weymouth, England. 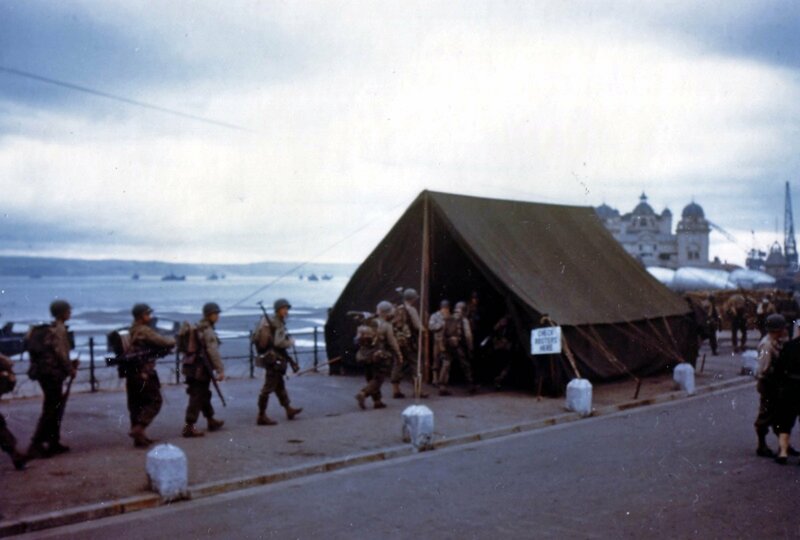 The loading of the rangers into ships began five days before Operation Overlord began on June 1, 1944 for reasons of secrecy.